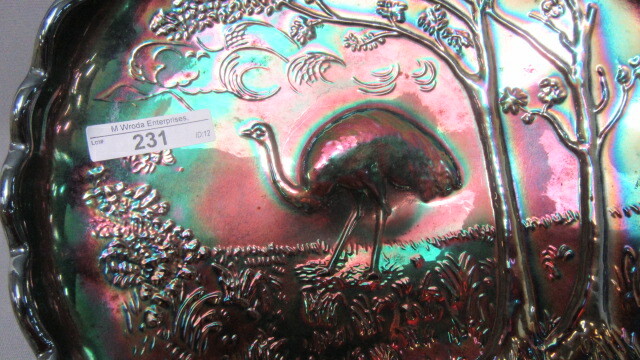 The Emu is a flightless, ostrich-like bird. 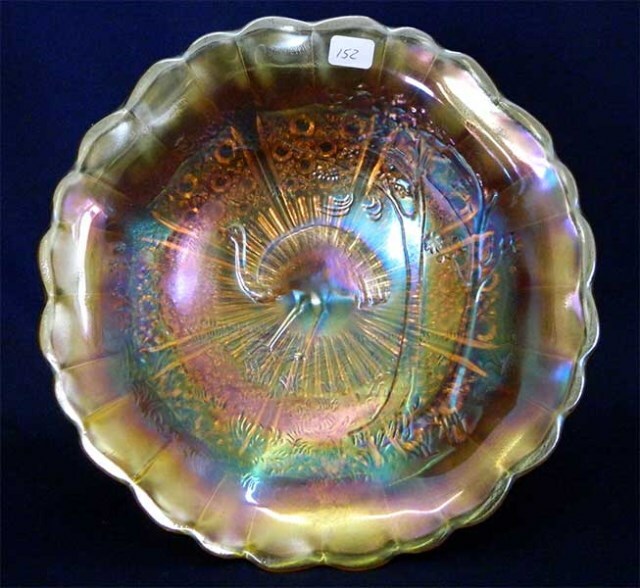 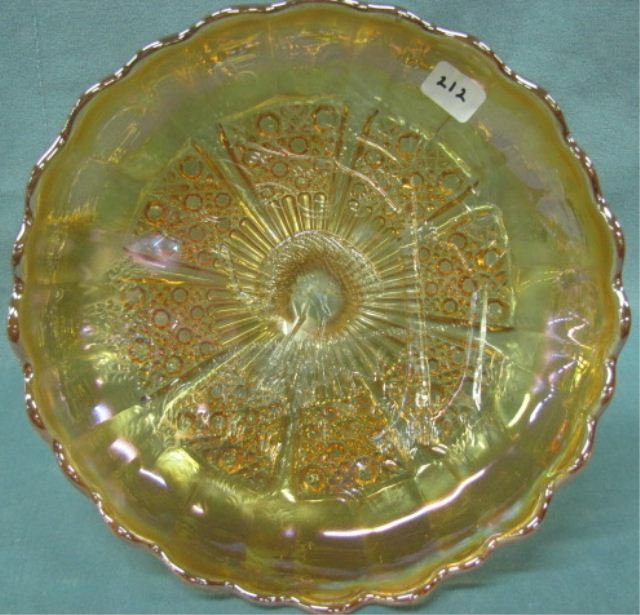 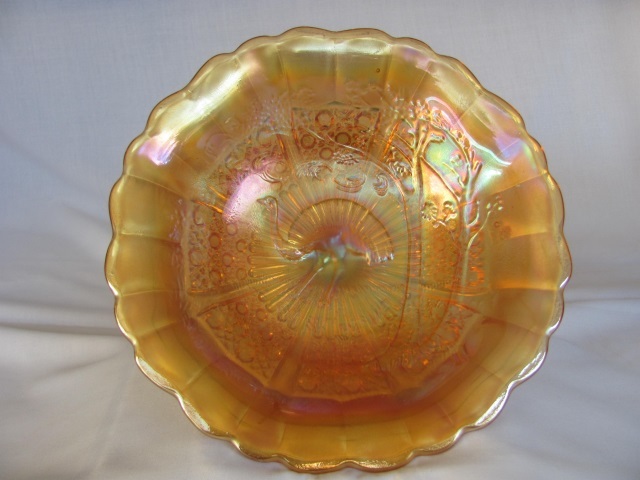 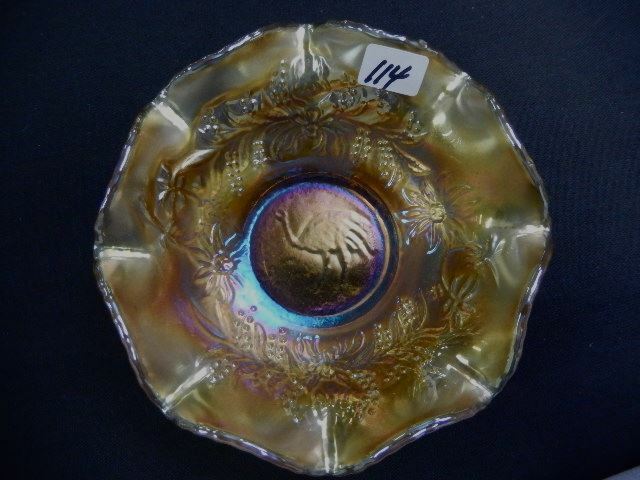 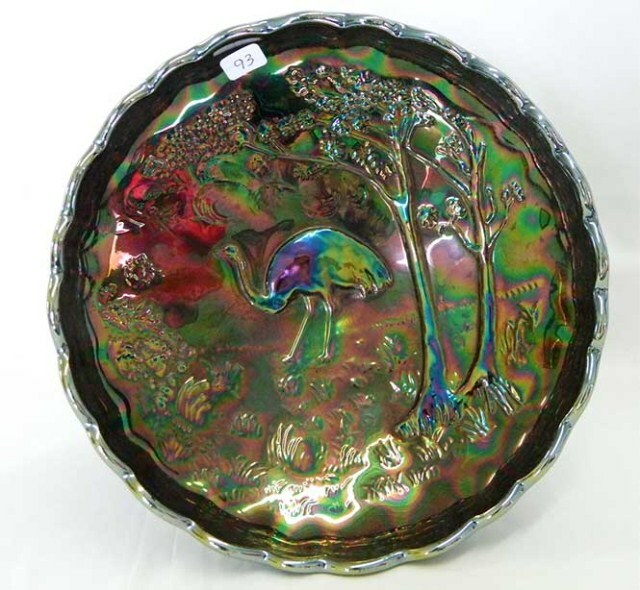 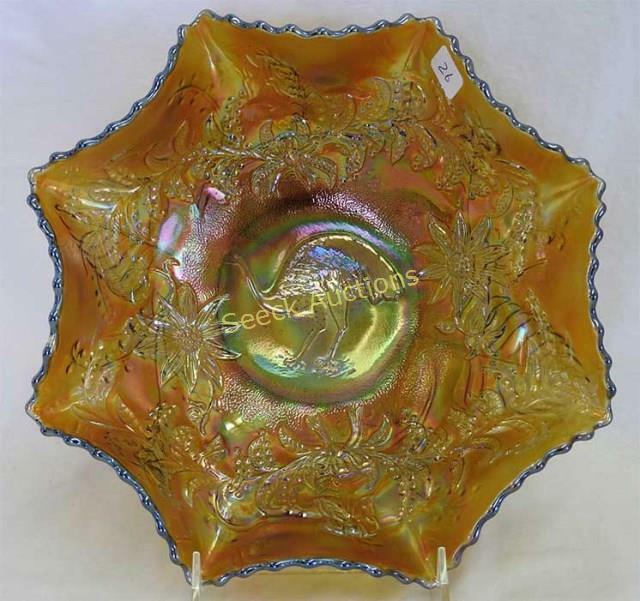 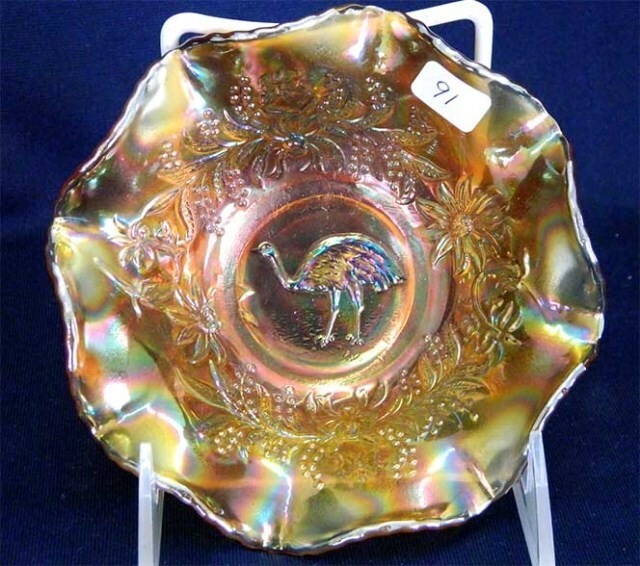 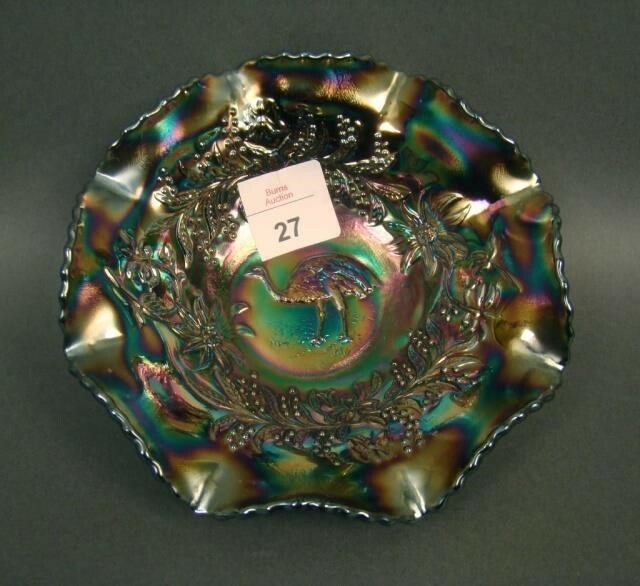 Carnival glass pieces are found in 5-inch and 9 to 10-inch bowls and a compote. 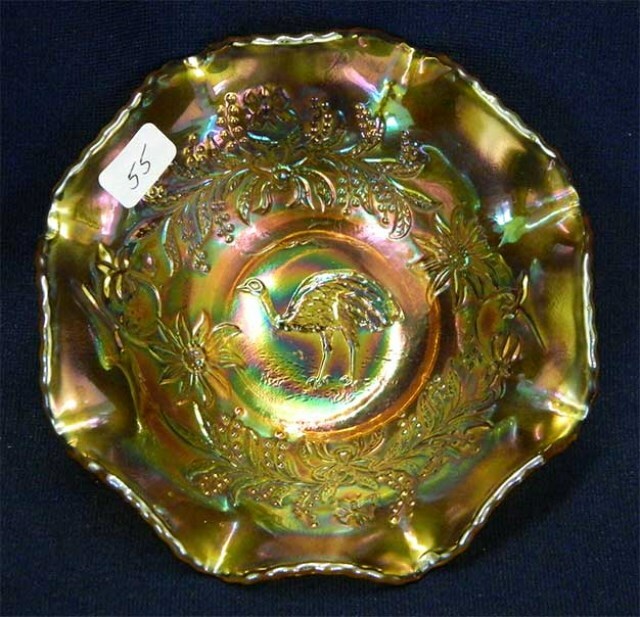 The design shows the bird within a floral wreath or band on bowls and with trees on the compote. 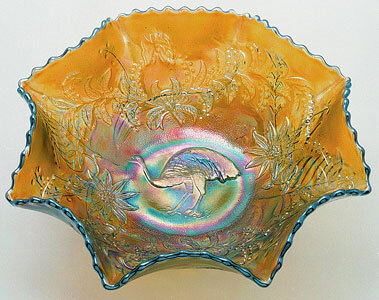 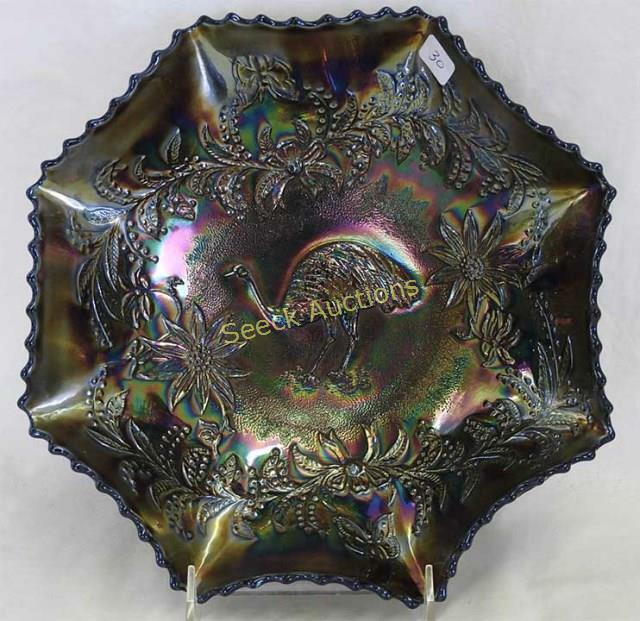 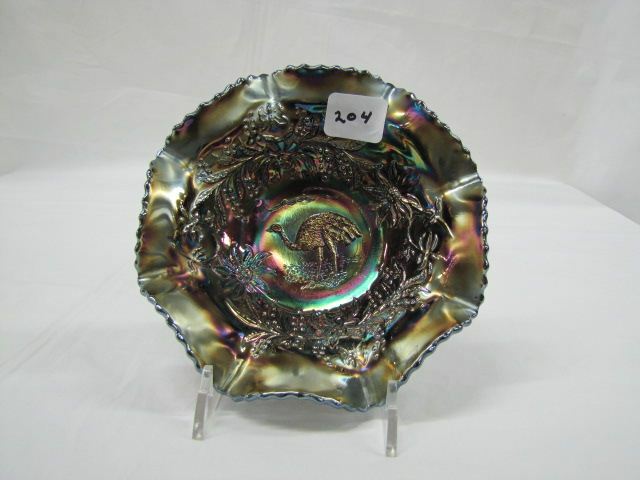 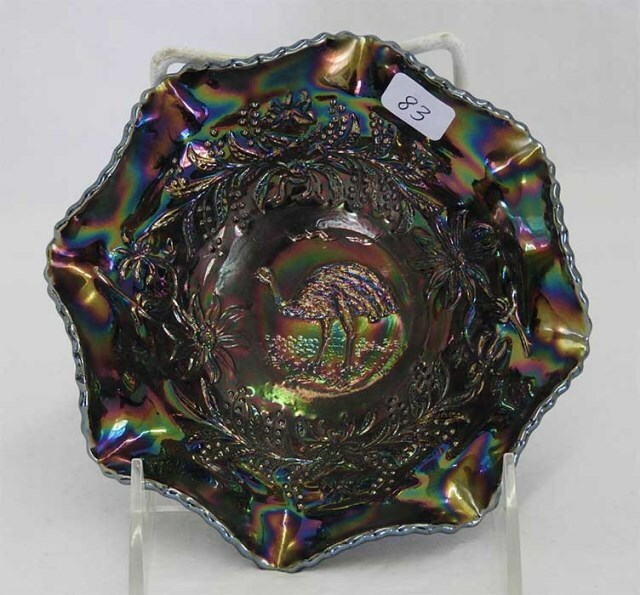 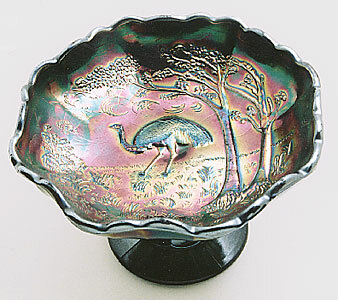 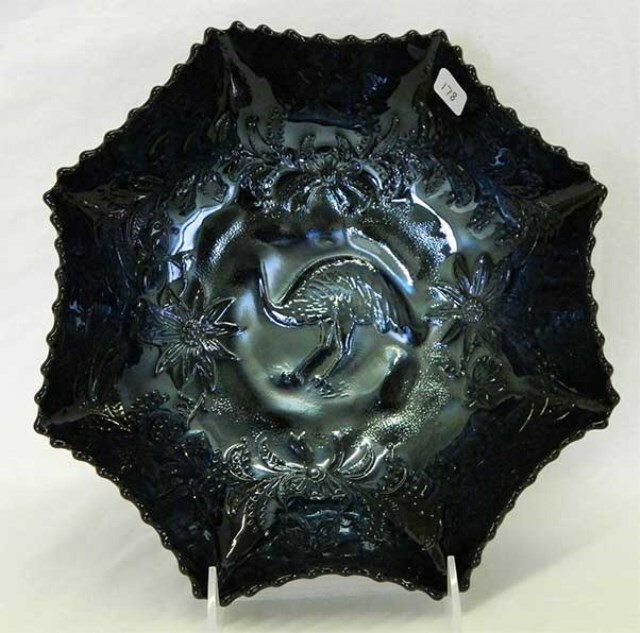 The ruffled bowl is aqua, a very rare color for Australian pieces. 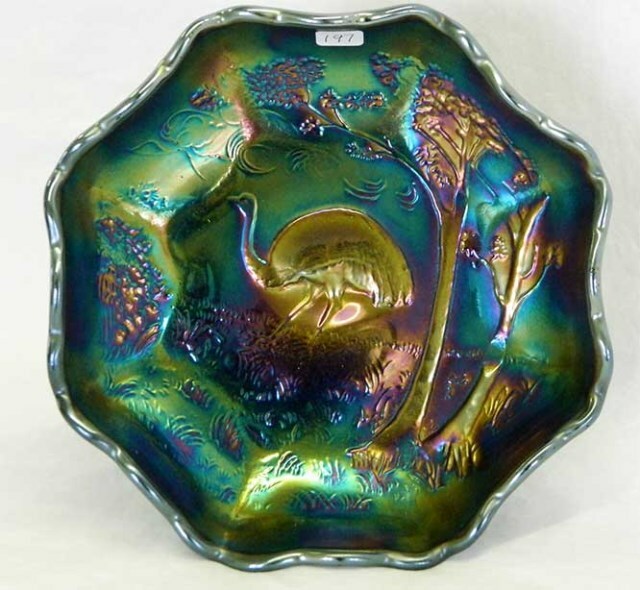 It sold for $900 in 2002.